Prominent residents in the Kalorama area include Amazon founder Jeff Bezos and US Secretary of State Rex Tillerson. 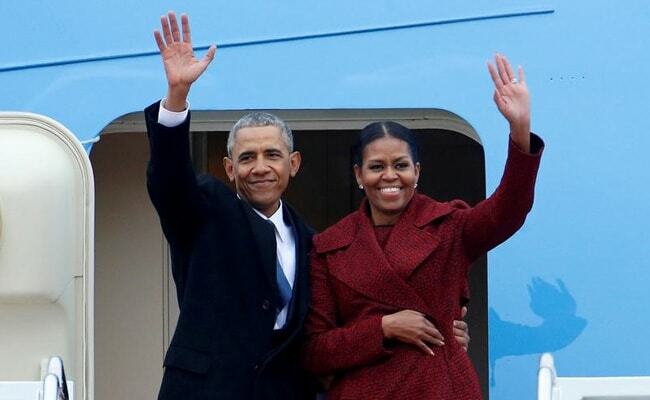 Washington: Former US president Barack Obama and his wife Michelle initially decided to stay in Washington once he left the White House so their daughter Sasha could finish high school. Now, their presence in the US capital looks more permanent. The couple paid $8.1 million to buy the mansion in Washington's swank Kalorama neighborhood that they have been renting since January, The Washington Post reported Wednesday. The eight-bedroom, nine-and-a-half-bath home is in the same neighborhood as the home of President Donald Trump's daughter Ivanka and her husband Jared Kushner. Other Kalorama residents include Secretary of State Rex Tillerson and Amazon founder Jeff Bezos, who also owns The Washington Post. "Given that President and Mrs. Obama will be in Washington for at least another two and a half years, it made sense for them to buy a home rather than continuing to rent property," Obama's spokesperson Kevin Lewis told the paper. The posh neighborhood has a long history as home to government ministers, Supreme Court justices, Treasury secretaries, and other powerful figures in government and business. Other past presidents who have lived in the neighborhood located about two miles (three kilometers) from the White House include Woodrow Wilson and William Howard Taft. Franklin Roosevelt lived there before becoming president. The Obamas have traveled a fair bit since leaving 1600 Pennsylvania Avenue, vacationing in French Polynesia and Italy. Barack Obama and wife Michelle have signed a contract with Penguin Random House to publish their memoirs, reportedly worth more than $60 million.